Portosystemic shunt surgery is an established treatment option for preventing variceal rebleeding in patients with noncirrhotic portal hypertension (NCPH). The proximal splenorenal shunt is a widely performed procedure in these patients. In this study, the use of adrenal vein as an alternative conduit has been investigated. A retrospective analysis of patients with NCPH who underwent proximal splenoadrenal and splenorenal shunt between 2011 and 2015 was performed. Demographic findings, etiology of portal hypertension, clinical presentation, hematological parameters, liver function test, intraoperative findings, postoperative morbidity, and shunt patency were studied and compared between the two groups. All patients were followed up for a minimum of 12 months with Doppler study of the shunt to assess shunt patency and upper gastrointestinal endoscopy to assess regression of varices. During the study period, 97 patients with NCPH underwent shunt surgery (proximal splenoadrenal shunt, 8; proximal splenorenal shunt, 74; and interposition mesocaval shunt, 15). Anomalous anatomy of the left renal vein was the main indication (5/8 patients) for a splenoadrenal shunt. Median fall in portal pressure in patients who underwent splenoadrenal shunt was 11.5 mmHg (range, 2–14 mmHg). The median (range) operative time was 4.5 (3–6) hours and median (range) intraoperative blood loss was 160 (100–200) mL. During a median (range) follow-up of 32 (12–48) months, shunt thrombosis developed in one patient. 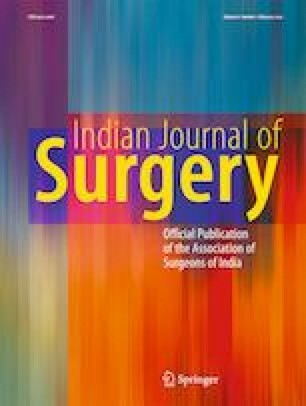 Comparison of intraoperative parameters and postoperative outcomes showed no significant difference in median fall in portal pressure (p = 0.39), median operative time (p = 0.51), median blood loss (p = 0.80), Grade III/IV postoperative complications (p = 0.56), shunt thrombosis (p = 0.93), and varices regression rate (p = 0.72) between patients undergoing proximal splenorenal and splenoadrenal shunt. In conclusion, left adrenal vein is a suitable vascular conduit for porto-systemic shunt surgery. This is especially so if the performance of splenorenal shunt is precluded because of anatomic abnormality of the renal vein.